Scotland is benefitting from a rise in popularity for horse racing, says Perth Racecourse's chief executive. At the start of the three-day Perth Festival, Hazel Peplinski has claimed that changes made to the sport have made it safer and a better attraction for punters and the general public. "The attendances are all going up, especially in Scottish racing," she told BBC Scotland. "We saw that at the Scottish Grand National, which had a sell-out crowd." 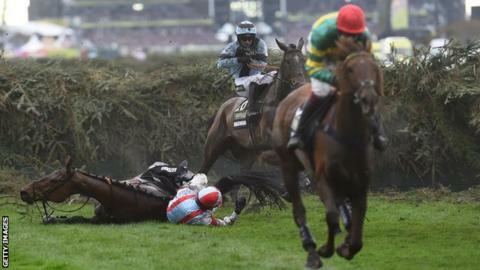 The sport was again criticised by animal welfare groups after four horses died during the Grand National meeting at Aintree earlier this month. But Peplinski said: "The governing body has tackled the welfare issues head on and listened to what the public have said. "They've modified the fences at Aintree, for example, and they really are stringent with the use of the whip." More than £200,000 is on offer in prize money over the Perth Festival, with more than 10,000 members of the public expected at the course over the next three days.